I’ve never really done annual reading challenges besides the overall Goodreads challenge for a certain number of books (this year I’m aiming for 200) and the TBR Challenge so I’m turning over a whole bunch of new leaves this year. I did a video about it if you’re into that kind of thing. If you’re not, no worries! I’ve got you covered below. Two reading challenges hosted by Steph’s Romance Book Talk are #blackout and #romancegenreathon. Here’s her video about those. The Blackout challenge is just reading books by black authors. After I read Entwined Destinies by Rosalind Welles (here’s my review), I purchased a bunch of vintage books by black romance authors so this is one challenge that will be super easy. This month I’m reading Beastly Desires by Nikki Winter and Adam and Eva by Sandra Kitt. I plan to read two books a month for this challenge for a total of 24. For the Romancegenreathon, Steph has a bunch of themes and tropes set for each month so if you’re into that idea, check out her video for the details. This month’s topics are Second Chance, Pregnancy and Unrequited. I think you technically only have to read one for the challenge but I’m going to try to read two. For Second Chance, my pick is The Mermaid’s Curse by Alexa Rowan. I actually already finished this book. Well, it’s more like a short story, clocking in at just 7,800 words. It’s one of the books I still had left in my KU queue and I finished it a few days ago. Basically, if you love Aquaman and you want to read something vaguely like that, with the same land/sea connections and underwater political intrigue, check it out. I thought the world-building was great and the romance convincing. The characters could have both used a bit more development, particularly the heroine, but honestly I think there’s only so much you can do in a short story. I enjoyed it. For the second book, I’m going for the Unrequited theme and chose Pretending He’s Mine by Mia Sosa. I had started this last year and just never finished it so even though this isn’t on my “official” January TBR, I’m going to try to get to it. The third challenge I’m doing this year is Romanceopoly. PeaceLoveBooks and Under the Covers Book Blog are hosting this game board/book bingo style challenge designed to get people to read outside their romance sub-genre comfort zones. It’s set up like a game board and you can roll dice to move a marker around the board to select your books each month, which just seems fun to me. When I filmed my video about this challenge, I hadn’t rolled my dice yet but now I have.Here are the categories that I’m going to read first: Women’s Avenue (women’s fiction), Sweet Street (sweet or small town contemporary romance), Military Mews (romantic suspense with military hero or heroine) and London Street (steampunk romance). The Earl of Brass, a steampunk romance that’s already on January TBR list, counts for this last square. So this may be the only book I actually get through for this challenge this month. I will try to get to a couple of these Romanceopoly categories this month, but I suspect some of them will find it onto February’s TBR along with the three I’ll need to select for next month. I’m not bothered by the fact that a lot of my monthly TBR books will be selected by these challenges. Frankly, I have so many books that having a kind of structure to help me choose is appealing. Otherwise I feel like I’d be buried in choice. 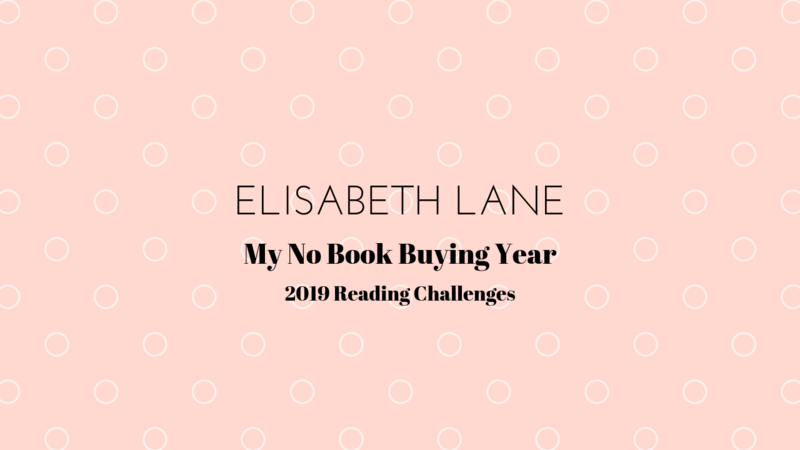 Have you ever done an annual reading challenge, whether it’s a blog challenge, an Instagram challenge or some other type? I’m very curious about what else is out there even though I think I’m maxed out for this year.